The first stop on this voyage is San Cristóbal Island, Ecuador, where guests first climb aboard the Yacht Isabela II and prepare for a guided expedition through the Galapagos Islands. This 20-cabin boat provides comfortable accommodations, as well as an educational experience for adventure travelers and vacationers alike. 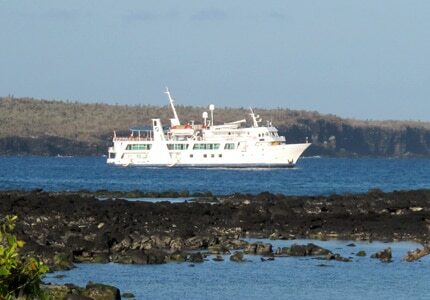 From there, they see the Galapagos through a series of daily excursions, multimedia natural history lectures and knowledgeable guides on this tour yacht. 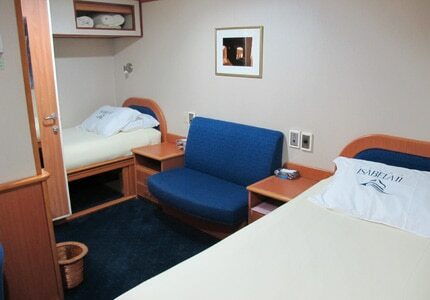 In addition to the much-needed air conditioning in each cabin — including one master suite — the vessel features a bevy of amenities and services to ensure comfort and safety while onboard, including telephone, fax and wireless Internet access (in public areas). Guests' needs are promptly met thanks to the high staff-to-passenger ratio, and the service is helpful and thoughtful. The crew takes every measure to ensure safety and a medical officer is available onboard, 24/7, just in case. Three English-speaking naturalist guides can answer any questions, or passengers can refer to the onboard natural history library where they can find videos and a large selection of reference books on the Galapagos and Ecuador. The three public decks include an ample Boat Deck with a Jacuzzi and a bar. Other decks feature a spacious lounge, an office, a boutique, a fitness room, the library and a dining room. Breakfast and lunch are served buffet-style, while dinner is provided through table service. 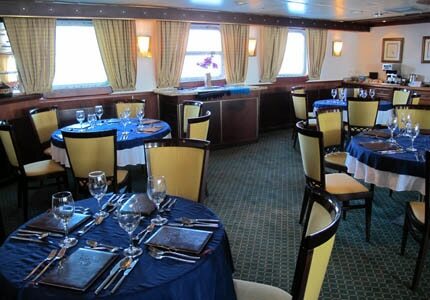 The seating isn't assigned, but the capacity of the dining room is enough for every guest onboard. And no need to worry about drinking the water. The boat is equipped with two reverse osmosis desalinating plants, providing passengers with an unlimited supply of fresh water. Not only does the Yacht Isabela II offer daily opportunities for on-shore exploration, but there are plenty of off-shore activities as well, such as snorkeling, kayaking, stargazing and glass-bottom boat rides. Travelers looking for a lazy beachside vacation, beware. These nautical adventures are full steam ahead! Plan a voyage to a tropical paradise aboard one of GAYOT's Best Caribbean Cruises. Get the 411 on the City of Angels. Find the city's top hotels, restaurants, attractions and more with GAYOT's guide.